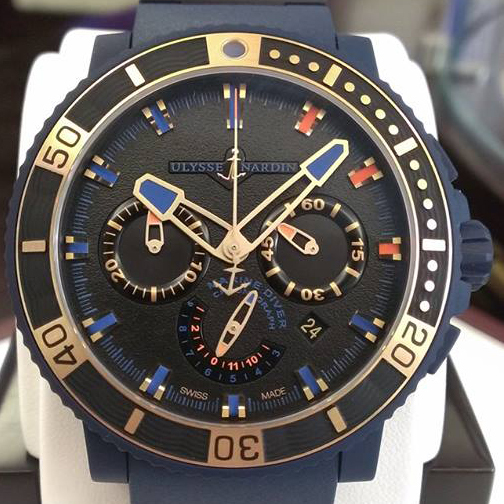 In the heart of the Olympic Winter Games - Sochi, the legendary watchmaker Ulysse Nardin opens doors of the third boutique in the Russian Federation. The company`s first boutique in Russia was opened in St. Petersburg in 2009, and in 2010 the Ulysse Nardin boutique in Moscow opened its doors. The store opens in the historic Seaport complex of the Sochi central district. The new boutique will present the latest trends and the premiere of the BaselWorld 2013 exhibition. In addition to the novelties, there will also be available special collections marked “Exclusive Boutique line”: the models Blue Toro, Freak Platine, Sonata Boutique and Blue Executive Dual Time. The boutique, located in Sochi, is made in a classic style with the traditional elements of the watch company that reflect maritime heritage of the brand: showcases - windows, decorative elements of teak and internationally renowned anchor - a symbol of Ulysse Nardin.